If all three are actively and intimately involved in the learning process, the chance of the student’s success in the classroom and acquiring knowledge is high. 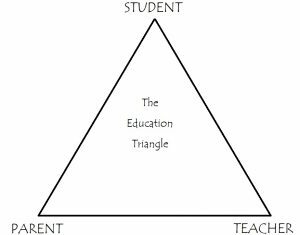 If two of the three are actively involved, the chance is significantly less… better if the student is one of the two involved, but far less if the student is not involved and motivated. If only one of the three is actively involved, the chance of learning and acquiring knowledge is greatly reduced, even if the student is the one who is actively involved and motivated to learn. That is what I learned as a father, and it will remain true forever. One needs to understand and acknowledge that truism as I direct attention to my quest to raise funds to send children to school in Haiti. Here’s a picture of my elementary school – Pomeroy School, Pittsfield, Massachusetts – long since converted to an apartment building. Below it, Fairmount Elementary School in St. Peters, Missouri where my kids went to school in the 1980’s. Here are pictures of Foi de Job. 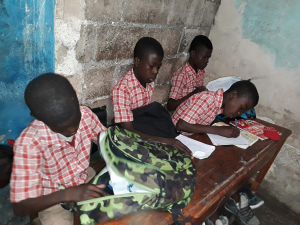 Two plus two equals four (2+2=4) in Haiti just as it does in St. Peters or Pittsfield, but the school environment at Pomeroy and Fairmount – like your local schools – is far more conducive to learning than the school environment at Foi de Job. Still, the teachers teach, and the children learn as best they can. Go back to the education triangle. Mrs. tVM and I spent countless hours at the kitchen table helping our children with their school work and encouraging them to complete it. I say with 100% certainty that not a single child we support at Foi de Job HAS a kitchen table because few if any live in a ‘home’ that has more than a single room, which is not much larger than the office I work from in my 10-room house. Let’s go another step. Few of these children live with two parents, some live on the streets. 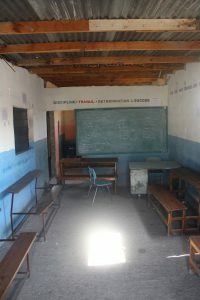 Few of the parents attended more than six years of school and most cannot read or write. Mathematics is as alien to the parents as hieroglyphics is to you and me. When I ask GBCCS coach and manager Justin Ricot how many of the parents completed at least six years of formal education, he responds, “Ninety-eight percent of the parents never went to school.” Though you may question the absolute accuracy of his answer, you get the point. The odds are stacked against these kids even before they walk into the school IF they have the opportunity to attend school, which is our intention here. These children need our help. Education WILL lead people out of poverty. My friends in Haiti have a very steep hill to climb. Can you help? Will you help? We were able to fund 20 children this school year. We would like to send more kids to school in 2018/19. We need your help. Please donate what you can to our education fund for the kids at Guepard Boxing Club. By using the donate button, your support is processed by Gail Rongen’s Nicole Megaloudis Foundation and is tax deductible.